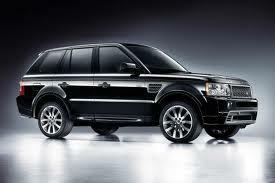 Performing factory-recommended maintenance interval services is crucial to maintaining your Land Rover's performance. Our ASE and Bosch certified technicians are fully capable of performing these necessary services on your Land Rover, while maintaining your factory warranty. These services are recommended every 7,500 miles and are the minimum recommendations for your Land Rover, assuming “normal” driving conditions. Living in Atlanta, most of us are frequently stuck in stop-and-go traffic and city driving is the norm. Because of this, Braxton Automotive recommends smaller maintenance services in between your major services. If you are unsure of when your Land Rover may need service, or need to know what is included in your service, just give us a call and we'll be able to go over every service with you. If your Land Rover is having performance issues, Braxton Automotive can perform a variety of repairs to bring your Land Rover back to its maximum performance level. These repairs can be as simple as changing a filter and adding fluids to as large as replacing your water pump. No matter the repair, our technicians are prepared with factory parts and tools. Why pay dealer prices? Bring your Land Rover to Braxton Automotive for the high-quality service and personal touch that only a smaller, independent shop can give you. Check here for any recalls on your vehicle.